I completed this drawing for the 2013 Sacred Art Show. 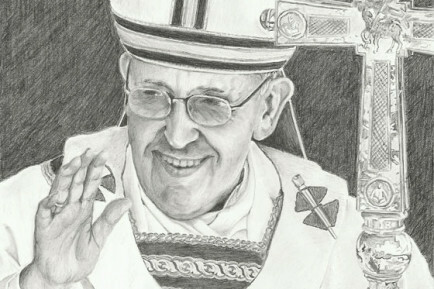 Many of the artists contributed pieces in honor of the election of our new Holy Father. 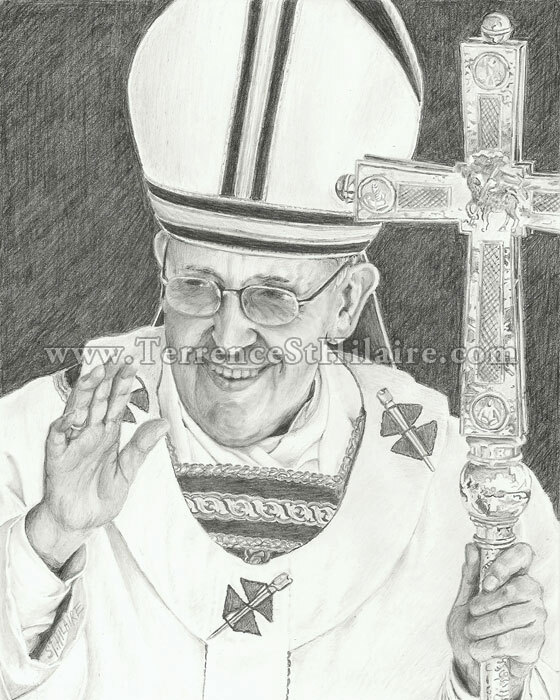 It is a bit different from my drawings of Benedict and John Paul II in their more contemplative poses, but I thought it captured more of the personality of Pope Francis as we’ve come to know him so far.